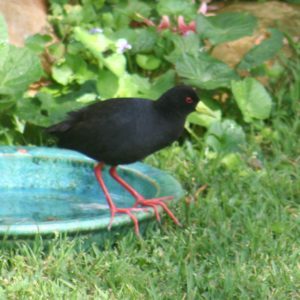 Infrequent visitor to swamp area of Steenbok Park, plentiful at nearby Woodbourne. 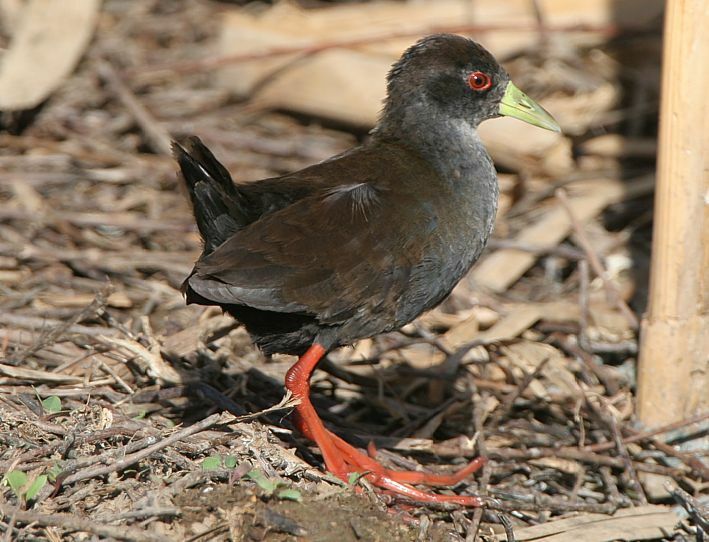 Small black rail with red legs and bright greenish-yellow bill. Inhabits swampy areas as long as there is cover. Partial to ponds. Adaptable, in dry weather will inhabit tiny streams with thin cover and even visit well-watered gardens.